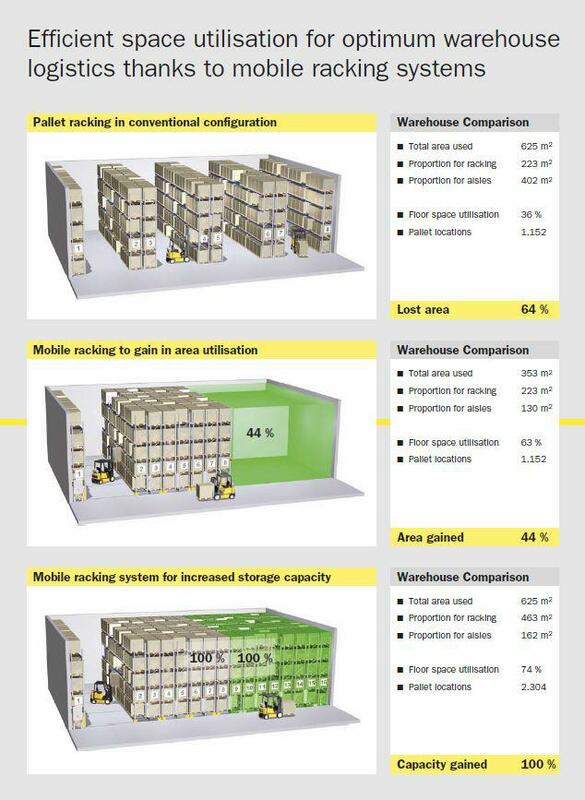 Mobile racking and shelving structures are storage systems that allow you to put more product on less surface area through innovative rail construction. mrsBut not all mobile racking systems are created equal. Quality indicators include the shape and other production values built into the rail system to become the distinguishing features of durability and safety for mobile shelving units. The new generation of SSI Schaefer Mobile Racking Systems, based on four decades of experience in mobile racking system building, is ahead of the times. These movable racking systems have distinctive features to enhance their strength and ensure a long life. Both rail types have high-strength steel with high inherent stiffness and m massive levelling mounting brackets. What’s more, integrated rack fastening and robust, welded center beams complete the torsional stiffness and dimensional stability. A modular design concept means customized mobile shelving units built around client requirements. 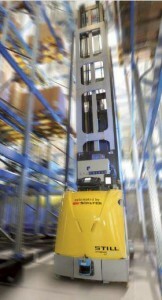 End-users have the choice of drive control via intelligent terminal with motor power monitoring or frequency-controlled drive control (soft start/soft stop) to protect goods in storage. And every SSI Schaefer racking system is equipped with a modern Siemens S7-300 SPC control system.